Preheat your grill to about 375 - 400F. 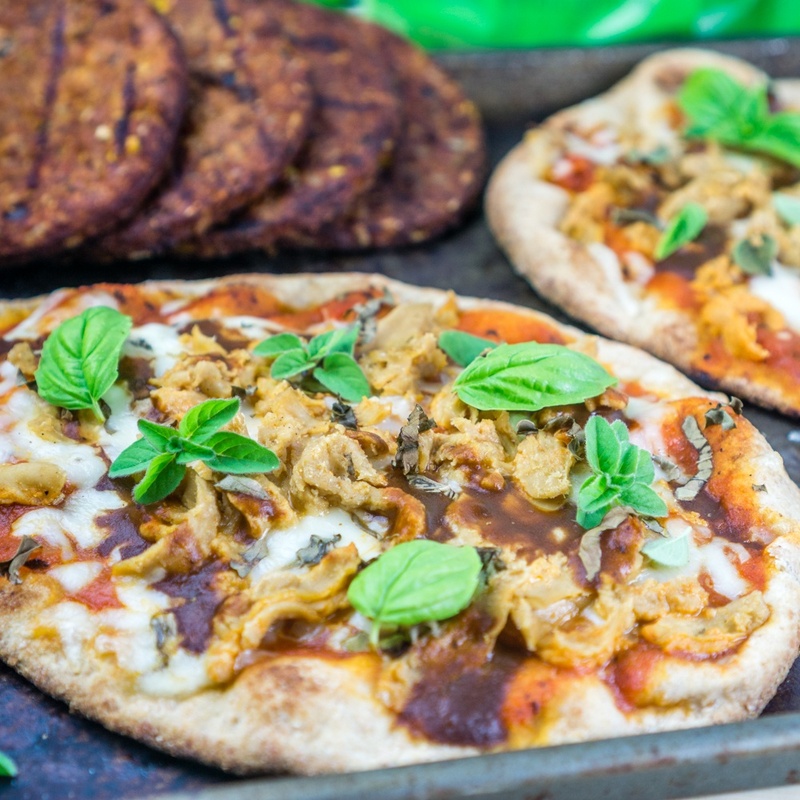 Assemble the pizzas by topping each naan bread with about 1/4 cup pizza sauce, 1/2 cup shredded mozzarella cheese, and 1/2 cup Veggie Pulled Pork. Drizzle about 2-3 tablespoons barbecue sauce on each pizza, add half of the fresh herbs, and carefully place on the grill. Cover the grill, and cook for about 10 minutes at about 375-400 F (medium/low heat), or until the cheese melts and the naan bread is crispy. Remove from the grill and garnish with the remaining fresh herbs. Serve immediately.